Things have been so busy lately I feel like I have had barely enough time to breathe, let alone write anything. That being said, thanks to several hours spent on a plane this week I did manage to achieve one thing, I finished reading Red Queen. I was really intrigued to read this book as it had received a lot of hype in the press, so much so I requested it as a birthday gift. For those that aren’t aware, Red Queen is a young adult novel written by Victoria Aveyard. It follows the story of Mare Barrow, a poor red girl from the impoverished Stilts, as she finds herself thrown into the power hungry and rather dangerous world of the ruling silver class. Overall, the story is ok but I have to be honest, it wasn’t spectacular, and in some cases I found the plot turns extremely predictable. I don’t like to be overly critical as I take no pleasure in it. However, I found myself repeatedly linking the work back to YA stories that had gone before. The oppression of a ruling class hauled up in their posh city was too similar to the Hunger Games, the abilities of the silver Lords /ladies and royal family were just doubles of the abilities of the vampires in Twilight. Even the story about Mare wanting to lead her people in a revolution against the Silvers again just reminded me of Katniss in the MockingJay, sadly it was all a bit ‘samey’. 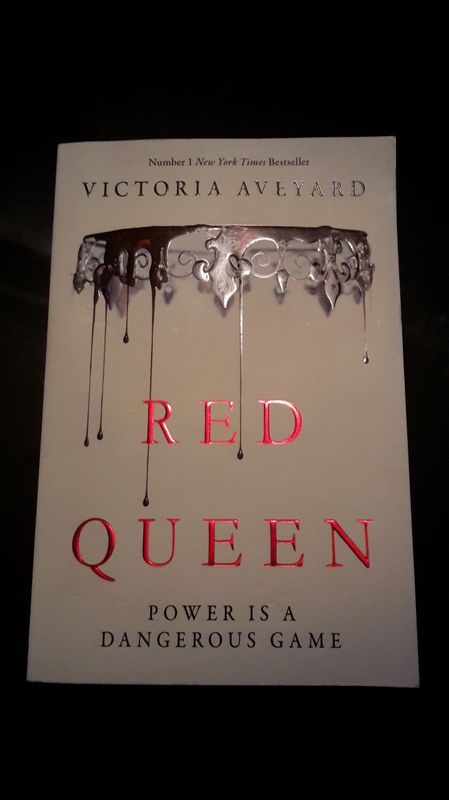 I understand that this is the first in a series so I am tempted to see how she develops the plot, but at the moment, I wouldn’t give Red Queen more than 3 out of 5, at most. My apologies to Victoria Aveyard but the story just didn’t feel original enough. Totes agree with you on this one. Had a “chosen one” flavor to it, as well. The cover is gorgeous, tho. Agree, I love the cover! !